The “war on drugs” has failed and should be abandoned in favour of evidence-based policies that treat addiction as a health problem, according to prominent public figures including former heads of MI5 and the Crown Prosecution Service. Leading peers – including prominent Tories – say that despite governments worldwide drawing up tough laws against dealers and users over the past 50 years, illegal drugs have become more accessible. Vast amounts of money have been wasted on unsuccessful crackdowns, while criminals have made fortunes importing drugs into this country. The increasing use of the most harmful drugs such as heroin has also led to “enormous health problems”, according to the group. The MPs and members of the House of Lords, who have formed a new All-Party Parliamentary Group on Drug Policy Reform, are calling for new policies to be drawn up on the basis of scientific evidence. It could lead to calls for the British government to decriminalise drugs, or at least for the police and Crown Prosecution Service not to jail people for possession of small amounts of banned substances. Their intervention could receive a sympathetic audience in Whitehall, where ministers and civil servants are trying to cut the numbers and cost of the prison population. The Justice Secretary, Ken Clarke, has already announced plans to help offenders kick drug habits rather than keeping them behind bars. The former Labour government changed its mind repeatedly on the risks posed by cannabis use and was criticised for sacking its chief drug adviser, Prof David Nutt, when he claimed that ecstasy and LSD were less dangerous than alcohol. The chairman of the new group, Baroness Meacher – who is also chairman of an NHS trust – told The Daily Telegraph: “Criminalising drug users has been an expensive catastrophe for individuals and communities. “In the UK the time has come for a review of our 1971 Misuse of Drugs Act. I call on our Government to heed the advice of the UN Office on Drugs and Crime that drug addiction should be recognised as a health problem and not punished. Lord Lawson, who was Chancellor of the Exchequer between 1983 and 1989, said: “I have no doubt that the present policy is a disaster. Other high-profile figures in the group include Baroness Manningham-Buller, who served as Director General of MI5, the security service, between 2002 and 2007; Lord Birt, the former Director-General of the BBC who went on to become a “blue-sky thinker” for Tony Blair; Lord Macdonald of River Glaven, until recently the Director of Public Prosecutions; and Lord Walton of Detchant, a former president of the British Medical Association and the General Medical Council. Current MPs on the group include Peter Bottomley, who served as a junior minister under Margaret Thatcher; Mike Weatherley, the newly elected Tory MP for Hove and Portslade; and Julian Huppert, the Liberal Democrat MP for Cambridge. The group’s formation coincides with the 50th anniversary of the United Nations Single Convention on Narcotic Drugs, which paved the way for a war on drugs by describing addiction as a “serious evil”, attempting to limit production for medicinal and scientific uses only, and coordinating international action against traffickers. The peers and MPs say that despite governments “pouring vast resources” into the attempt to control drug markets, availability and use has increased, with up to 250 million people worldwide using narcotics such as cannabis, cocaine and heroin in 2008. 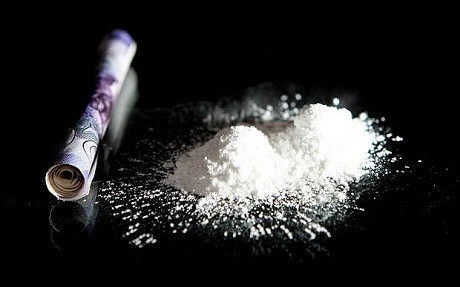 They believe the trade in illegal drugs makes more than £200 billion a year for criminals and terrorists, as well as destabilising entire nations such as Afghanistan and Mexico. As a result, the all-party group is working with the Beckley Foundation, a charitable trust, to review current policies and scientific evidence in order to draw up proposed new ways to deal with the problem. Well it’s nice to see that the ludicrous situation of total prohibition is facing more weight against it. At last, momentum is building. Fingers crossed one and all. Well next move Heroin ! Yipee. Do I detect sarcasm DC? Yeh of course.., because the first thing i will do when drugs are legalised is become a scaghead…, its something ive always wanted to do after watching train spotting. well now this problem is getting noticed by MP’s i just hope that this is the sort of break through weve all been waiting for. like nick said “fingers crossed one and all”. one more thing i’d just like to say thanks to all activists especially peter reynolds. Great to see the movement gaining more momentum. My only qualm with this article is the false classification of cannabis as a narcotic. This is a positive step in the right direction. One should not get carried away, though. If the recent debate in the House of Lords is anything to go by, we must brace ourselves for a long and protracted fight to get the attention of the UK government, let alone to get it to pursue any meaningful reform. Does anybody know whether the All-Party Parliamentary Group on Drug Policy Reform can be contacted directly? I doubt that you could contact the group directly, but you should be able to contact those members who are serving politicians through the ‘They Work For You’ website. If you google Baroness Meacher, there is a link which will take you there. I am sure she (they) would be happy to take submissions from people who have an interest in this issue. Thank you for your advice. It is just a happy coincidence that I sent Baroness Meacher an email regarding a drug policy related issue last week, i.e. before the current group issue had come up publicly. Let’s hope she answers my query. You know, when former heads of MI5 and the CPS say there is a problem you should really listen… but that’s not what politicians are there for (seemingly). On the same day as this announcement the government ‘decides’ to ignore expert advice and not lower the Alcohol driving limit http://www.guardian.co.uk/society/2011/mar/21/drink-drive-limit-transport-secretary and instead focus on ‘drugged drivers’.. sounds like Gil’s BS is being imported here!! I apologise for reproducing a comment I made on your previous post, but I would like to hear from anybody who may have experience or knowledge about the subject. 1.Does such a mechanism, or something similar, exist in our legislation?